special topics courses in homicide and the death penalty. In May 2014, Jaclyn was awarded her Ph.D. in Criminal Justice from Texas State University in San Marcos, TX. Her dissertation research focused on the media representation of mass shootings in a post-Columbine era. This research formed the basis of her first book, Mass Shootings: Media, Myths and Realities, as well as several additional research articles. Prior to enrolling at Texas State, she earned her B.S. degree in 2009 in Interdisciplinary Studies from the University of Central Florida in Orlando, FL, with a concentration in Behavioral Sciences and Criminal Justice. In 2011, Jaclyn completed her M.A. in Applied Sociology, also at the University of Central Florida. Her master’s thesis research examined the newsworthiness of homicide victims in Baltimore, Maryland. Her research primarily focuses on mass and school shootings, with a concentration in media effects, social problems, moral panic, school safety, and survivor needs. She also has researched in the areas of homicide more broadly and elected executions. Her research has been published in a number of peer-reviewed, academic journals including (but not limited to) Homicide Studies; Journal of Crime and Justice; Crime, Law and Social Change; Journal of Qualitative Criminal Justice and Criminology; Criminal Justice Studies; American Journal of Criminal Justice; Security Journal; Journal of Homeland Security and Emergency Management; Housing Studies; and Fast Capitalism, as well as several edited volumes. 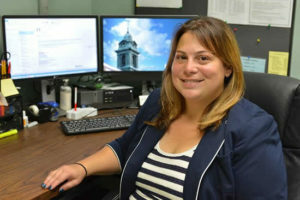 In her spare time, Jaclyn enjoys traveling, exploring all that Central New York has to offer, attending concerts and sporting events, and spending time with her three dogs (Bella, Bailey, and Chloe).